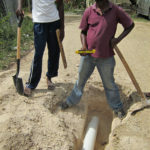 Improvements have been made to the disinfection process and the distribution lines. 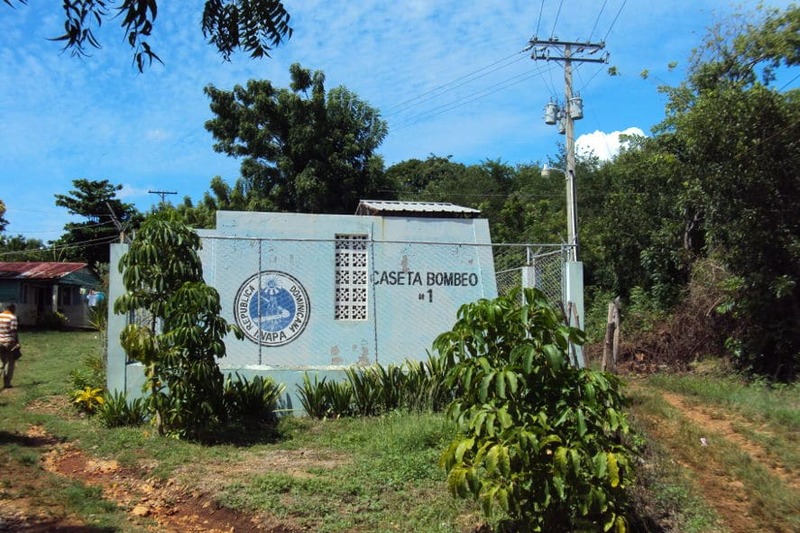 Carlos Pinto is a community of about 1,300 residents, located on the southern coast of the Dominican Republic, about an hour away from Santo Domingo. Of these residents, about 500 are children. 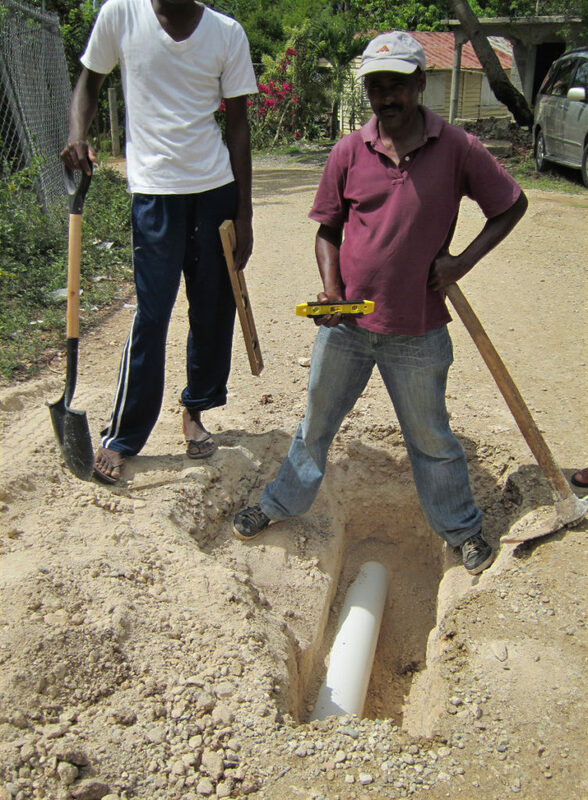 The community originally approached EWB-USA with a request for improved water distribution reliability, water quality, long term public health programs, and solid waste disposal. 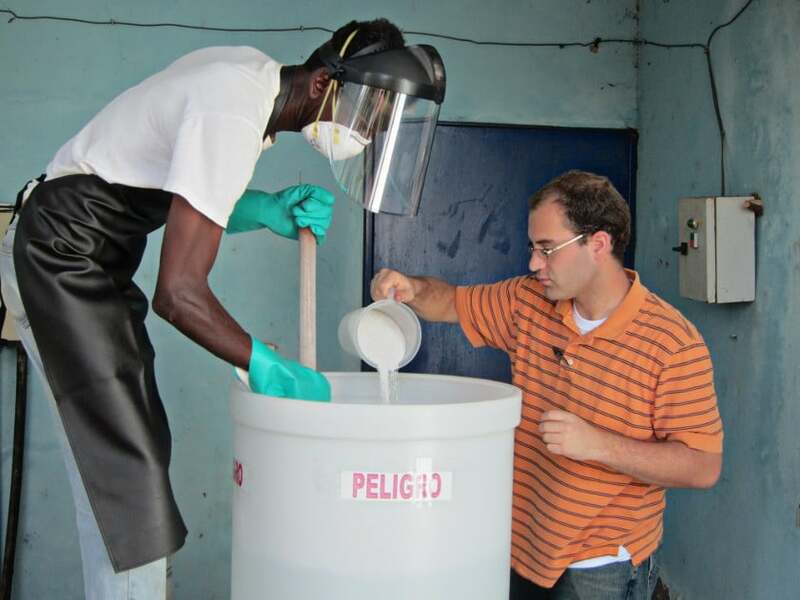 The community also demonstrated that they could provide support for projects by EWB-USA. 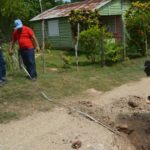 The water system originally installed by the federal government (INAPA) provided intermittent, inadequately disinfected water. 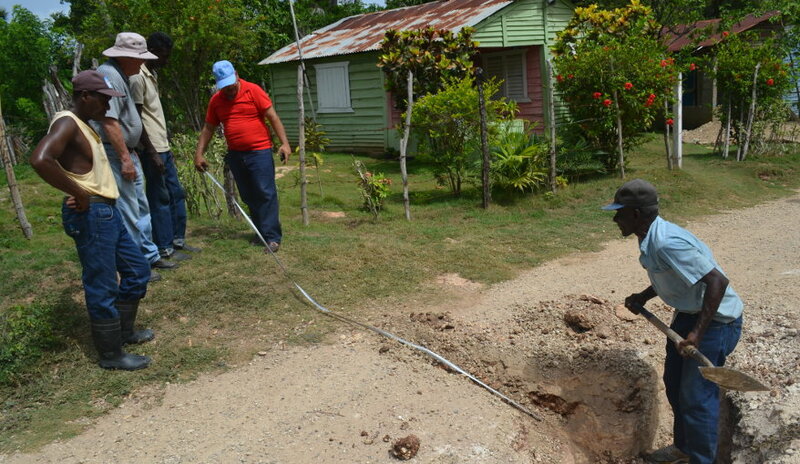 Water was only available to residents about every other day. 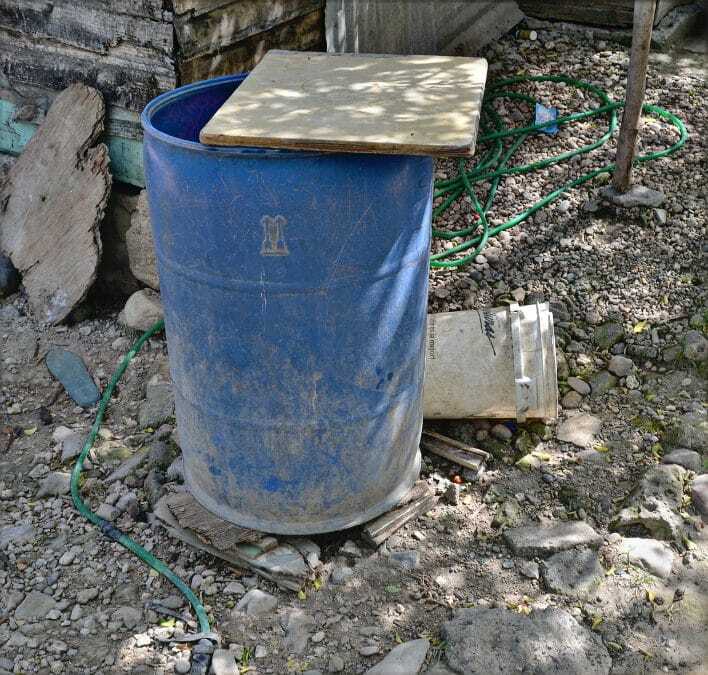 Community members reported dermatological and gstrointestinal diseases as a result of consuming and bathing with water from the distribution system. One functional groundwater well supplies water to a large 80,0000 gallon concrete water storage tank. The water distribution system from there is gravity fed and is not closed, pressurized, or continuously available. Due to the intermittent nature of the water supply, residents often store water in personal 50-500 gallon tanks. These tanks weren't always adequately cleaned, which likely contributed to disease. Community members must choose between purchasing drinking water or risking their health by drinking water from the community water system. Initiated a pilot program to encourage and educate the community on point-of-use filters. 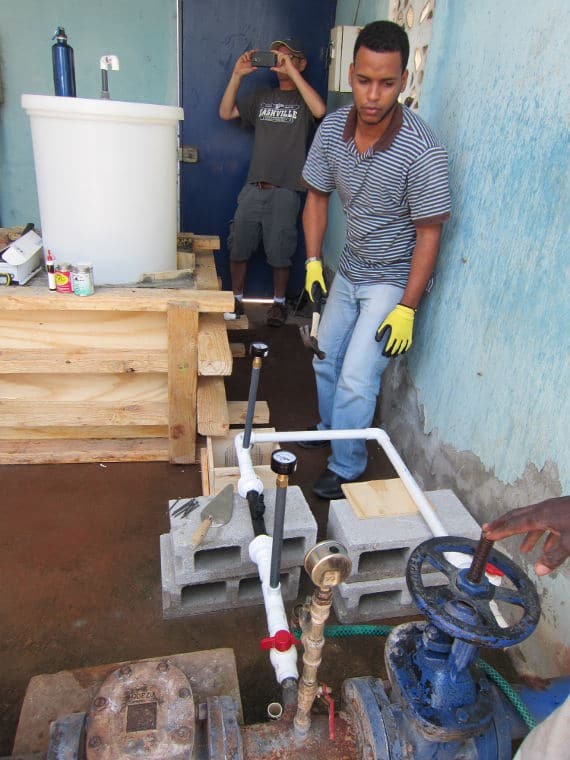 Demonstrating and testing out the chlorination system with the help of the government operator. 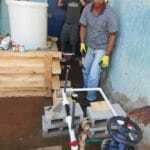 In 2014 our chapter installed a disinfection system to offer an improvement over the existing disinfection system, which consisted of dumping slow-dissolving chlorine granules into the water storage tank. The system chlorinated the water using a chlorine solution mixing tank with a venturi valve and rotameter for dosing a chlorine solution. The system uses solid chlorine granules (calcium hypochlorite) provided by the government. The operator must mix calcium hypochlorite granules and water then the valves to dispense chlorine through the venturi valve. 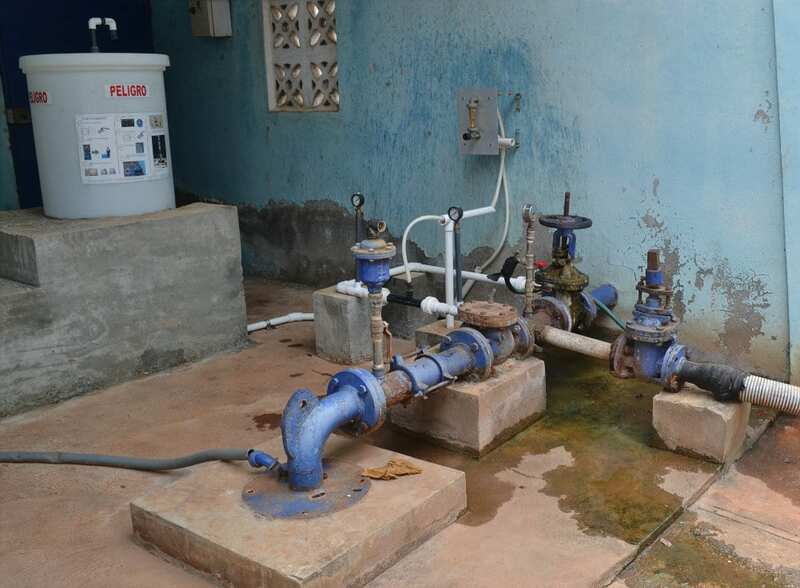 Although there are some areas for improvement, the community members report fewer infections and better water quality with the new system installed. Improve maintenance and reduce clogging of the venturi valve. Ensure the community has an effective volunteer water board. Investigate back-up power options so the well doesn't depend totally on the unreliable power grid. Ensure maintenance and testing on the water supply is done correctly. There's lots more information available on this project. If you're curious, we'd love to share it with you. Send us an email or fill out the following form and we'll send you project reports and other details on this exciting project. This project is only made possible though the generous donations of people like you. Donate now today towards a better future for Carlos Pinto.